Our amazing Keeper for a Day experiences give you a once in a lifetime opportunity to get up close and personal with some of ZSL’s most popular animals. Get a unique insight into the day-to-day life of our keepers. Become a Keeper for a Day at one of the world’s most famous zoos. Our amazing Keeper for a Day experience at ZSL London Zoo gives you a once in a lifetime opportunity to get up close to some of ZSL London Zoo's most popular animals. During this full-day experience you will work with an expert zoo keeper who will show you how we look after some of our incredible animals. ZSL London Zoo is the ultimate place to be a zoo keeper. More than just an animal collection, it's a centre for wildlife conservation and an historic landmark. At ZSL London Zoo you will work with a variety of animals who live at the Zoo. After getting kitted out in your keeper for a day outfit you will meet your expert Zoo keeper and find out which animals you will be helping to look after for the day over a hot drink and pastry. Keeper for a Day duties do vary from day to day but a typical experience will start with you helping to muck out in the morning before heading off to feed the giraffes their breakfast. You will enjoy a hearty Zoo keepers lunch and then get to meet our coatis and meerkats as well as some of our other animal residents, you will then finish the day with a well deserved cup of tea and cake! "It was an amazing day - hard work but great fun and for an animal lover such as myself, the perfect present." Keeper for a Day is available for participants aged 16 and over; we do offer a separate Junior Keeper for a Day experience for children aged 11-15. Keeper for a Day is a hands-on experience which offers a unique insight into what life is like as a zoo keeper. As part of a group of up to five people, you will be assigned to one of our experienced keepers, who will be your host for the day. So not only will you be getting up close and personal with some of our most popular animals, you will also have a keeper on hand to answer your questions and tell you more about ZSL's animals, conservation programmes and how our zoos are run. Once you have been kitted out in your overalls for the day’s tasks, your host keeper will give you a health and safety briefing and introduce your itinerary. You will then head off to get stuck into your first job of the day. At the end of the day you will be debriefed by your host keeper while reminiscing with your group, the highlights of a truly unforgettable day. What animals will I get to work with? The programme may be altered on any given day due to animal welfare or health issues or a change to the zoo's collection, but ZSL will ensure that if this is the case then the activity will be replaced with another similar task. The animals you should expect to be working with include: elephants, rhino, giraffe, among others which could include Lions, Tigers, Hunting Dogs, Sloth Bears, Lemurs, Meerkats, Penguins or Otters. Do I get to go in with the animals? You will get to go in with some animals, where appropriate. You will still get a behind-the-scenes experience with the animals that you don’t get direct contact with. What sort of activities will I be expected to do? Activities vary from mucking out enclosures, to preparing food and devising enrichment activities, feeding and meeting some of our animals. ZSL Members/Patrons/Fellows are entitled to 10% off all experiences, including K4D. The participant must be a member at the time of the experience to be eligible, and will need to show valid membership card on the day. The discount will be automatically applied at checkout once you have signed in using the email address to which your membership is registered. Do I need to be strong to do the tasks? Some of the work is quite physical, but anyone of reasonable fitness should be able to cope. What if I don't want to do one of the specific tasks? No one will be forced to do anything they do not wish to, although most find that taking part in the full range of activities is the best way to get the most from the experience. 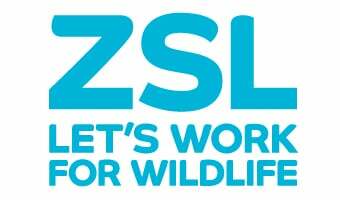 ZSL London Zoo: The full day session will last approximately 7 hours. ZSL Whipsnade Zoo: The Keeper for a Day experience will last approximately 7 1/2 hours. How many people will be taking part at the same time as me? There will be a maximum of five people taking part in the experience, so there will be plenty of opportunities for all to get involved. We find participants get more out of the experience when in a group. Will there be someone qualified with me? Yes, a qualified Zoo Keeper will be with you at all times to explain and supervise the activities. Working with any animal always carries a degree of risk, but you will be fully briefed on what you should and should not do in any situation and you will be fully supervised at all times. ZSL will take all necessary precautions and as long as participants do as they are instructed by the qualified keeper, then there should not be any particular danger in the activities. The weather should not affect the experience, although the itinerary may be changed if conditions are unsuitable for any aspect of the day. Besides, ZSL’s keepers work in all weather conditions. You should wear comfortable, hard wearing clothes suitable for wearing outdoors in sometimes mucky conditions. Sturdy, flat shoes or boots should be worn that are suitable for wearing in mud. At ZSL Whipsnade Zoo it can be cooler than you might anticipate as it is up on the Downs, so ensure that you have warm layers. Will I have a uniform? All participants will be issued with special keeper overalls that they can wear over their clothes for the day or a t-shirt when the weather is warm. In addition, gloves will be given for the more mucky jobs. At both zoos, the full day includes complimentary lunch plus refreshments. At ZSL Whipsnade Zoo, the experience also includes complimentary breakfast. An exclusive Keeper for a Day t-shirt and ZSL Experiences Bag..
Free car parking at ZSL London Zoo. 20% discount on zoo admission tickets for friends and family. Entry to the zoo is also included so you are free to have a look around afterwards. Please note that this is not always possible, as the experience may finish after the zoo has closed. Although spectators are not able to accompany you on the experience, there may be opportunities during the day for them to see you completing the tasks with the animals. The experience does not include admission to the zoo for friends and family, although a discounted rate is available if booked over the phone on 0344 225 1826 at least 24 hours in advance. Alternatively, full price tickets are available for purchase on the day at the main entrance. Please note that the zoo does not open for guests until 10.00am. We recommend that you bring your camera to capture some memories of your day. Unfortunately participants need to be 16 years or older to take part in a Keeper for a Day session. We do offer a Junior experience for 11-15 years old at ZSL London Zoo. How often will the sessions be running? Sessions run all year round at ZSL London Zoo, and from April to October at ZSL Whipsnade Zoo. Participants are advised to book their session as early as possible to ensure the widest possible choice of dates. The sessions always run on weekdays (not weekends or bank holidays). At ZSL London Zoo there are secure lockers where belongings can be stored. However there is limited opportunity to return to them during the day. Participants at ZSL Whipsnade Zoo travel between enclosures in our Keeper for the Day vehicle. Belongings can be stored in here but it is advisable to keep valuables to a minimum. How do I buy a place on a Keeper for a Day session? You can book directly onto a date or purchase an open-ended voucher on the Keeper for a Day main page. Open-ended vouchers are sent out in the post within 3-5 working days. Buying a voucher: A voucher in a gift card will normally be sent to the delivery address specified during the shopping process. These are not put in anyone’s name. Be careful not to put the recipient’s delivery details unless you want it to be sent to them directly. Booking direct onto a date: You will be sent an email confirmation. The participant will need to bring this with them on the day. It is the important that the purchaser completes the details of the participant during the checkout process so we know who to expect on the day. Is it possible to arrange individual animal encounters? We offer some individual VIP animal encounters at both ZSL Whipsnade Zoo and ZSL London Zoo. The animals offered at each site are different. Please click here for more information. Can a day be tailored to just one animal specifically? Feedback has shown us that participants get more out of the experience when they visit various animals throughout the day. Due to this, we do not offer experiences whereby only one animal section is visited throughout the day. If you have a question which is not covered in this list, please email experienceenquiries@zsl.org and we will respond as soon as we can. Please call 0344 225 1826 if you have any urgent queries about your purchased vouchers or the experience. Our Keeper for a Day experiences give you a once in a lifetime opportunity to get up close to ZSL's most popular animals.